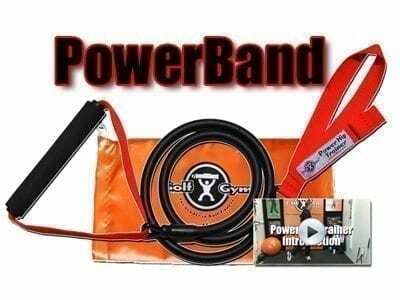 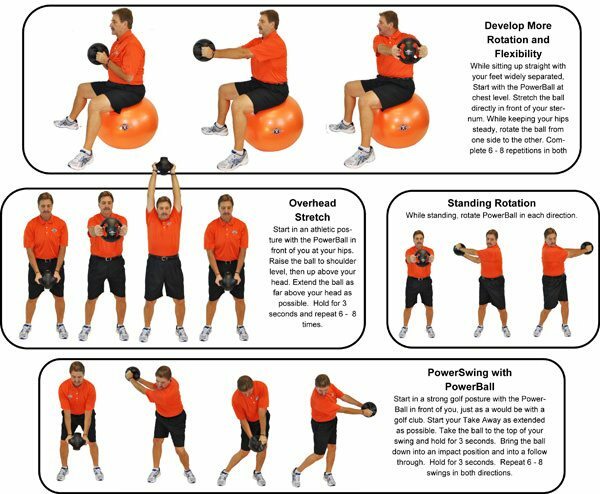 is specifically designed to build a strong core and more rotation while challenging your balance and golf posture. 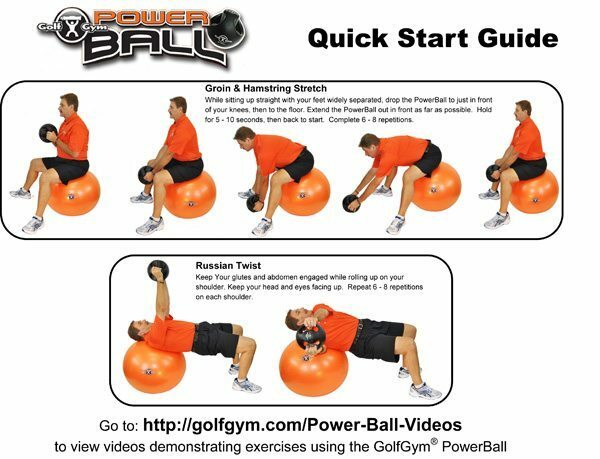 The GolfGym Double Handled 8 pound PowerBall is a great training tool to help develop core strength, rotation and balance. 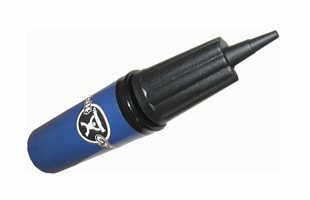 The handles are designed to comfortably allow any size hand. 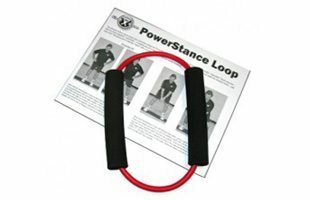 It can be used with one or two hands. 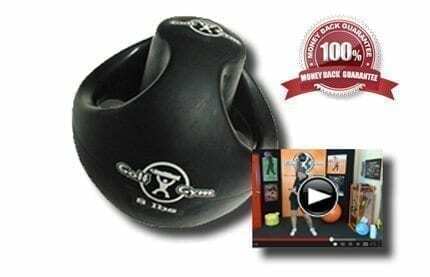 The GolfGym Double Handled 8 pound PowerBall is specifically designed to build a strong core and more rotation while challenging your balance and golf posture.